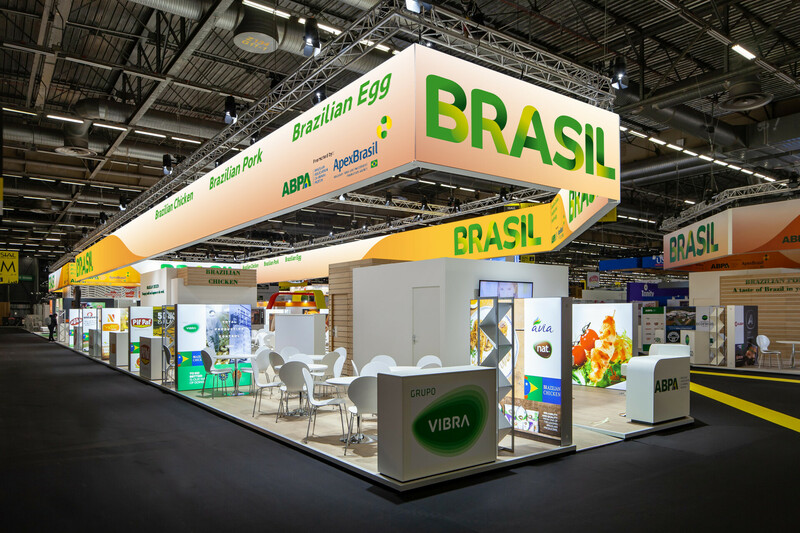 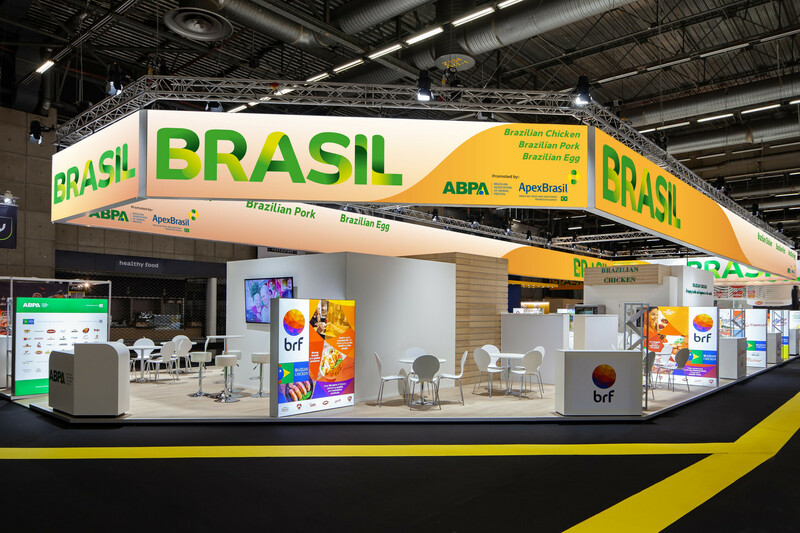 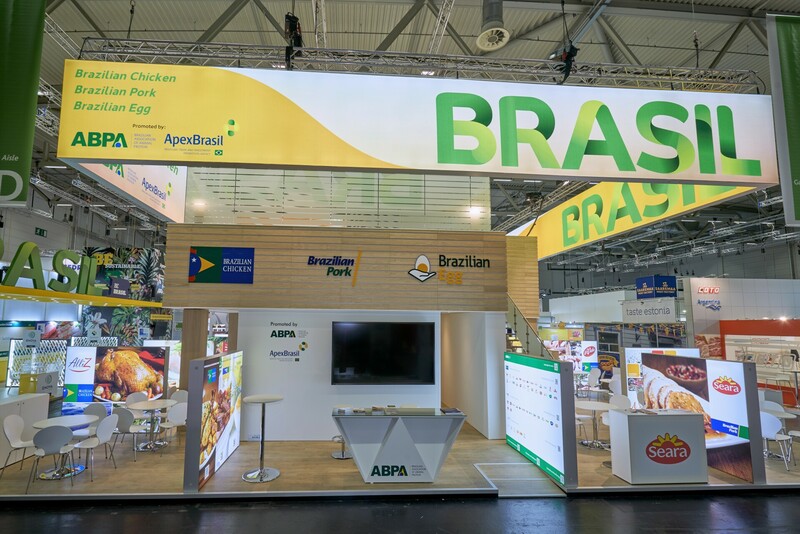 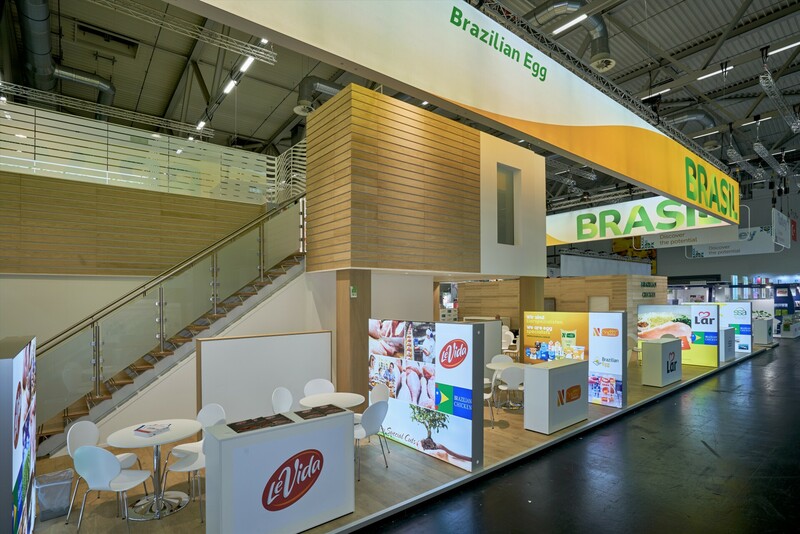 The ABPA (Associação Brasileira de Proteína Animal) Pavilion is a dedicated space for the 17 participating companies in the Brazilian Food Industry. 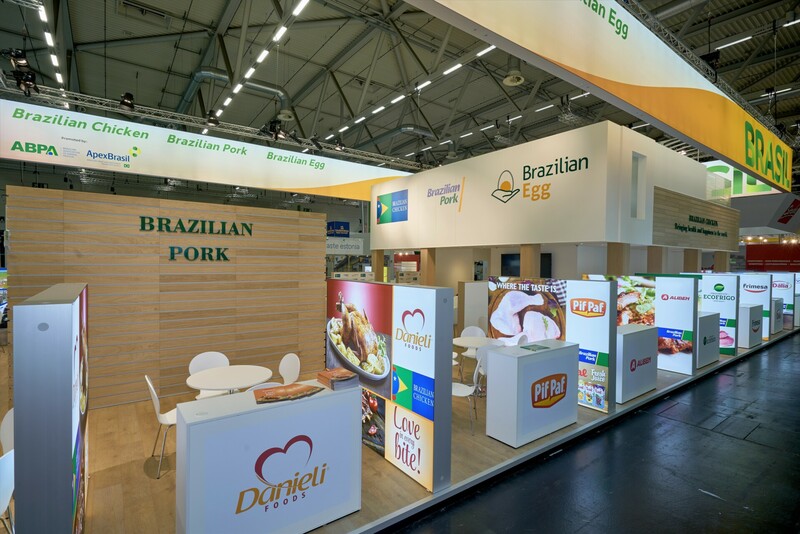 The main goal was to achieve a sense of unity while simultaneously giving each company its own branded space within the pavilion. 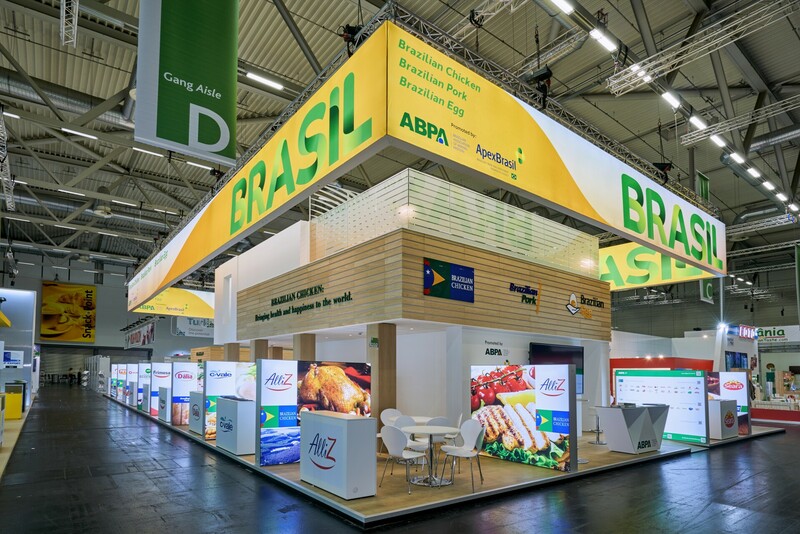 The light and natural materials, in combination with high-end lightboxes and an eye-catching illuminated header give this pavilion an open and contemporary look & feel. 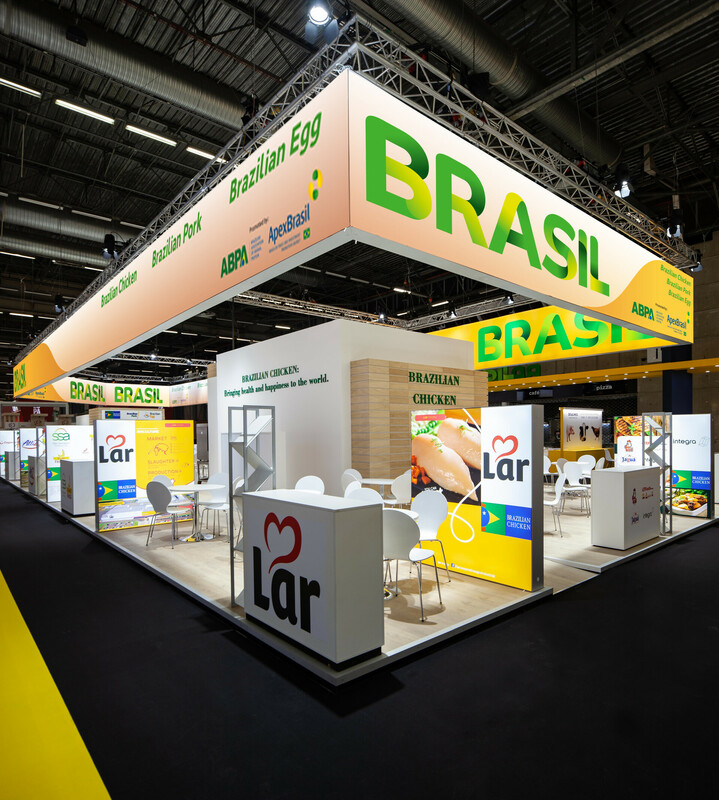 The pavilion also contains a second level for meetings and VIP arrangements.